Multistrada 950 Enduro accessory package. From asphalt to dirt roads, nothing can stop the Multistrada's hunger for kilometres, with a set of accessories that ensures safety, engine protection and ideal visibility when riding. From the extra spotlights to the steel engine guard, with this set of outfits there will be no trail that is too difficult to deal with, no terrain that you can't explore. Every minute on the bike will be pure adventure. 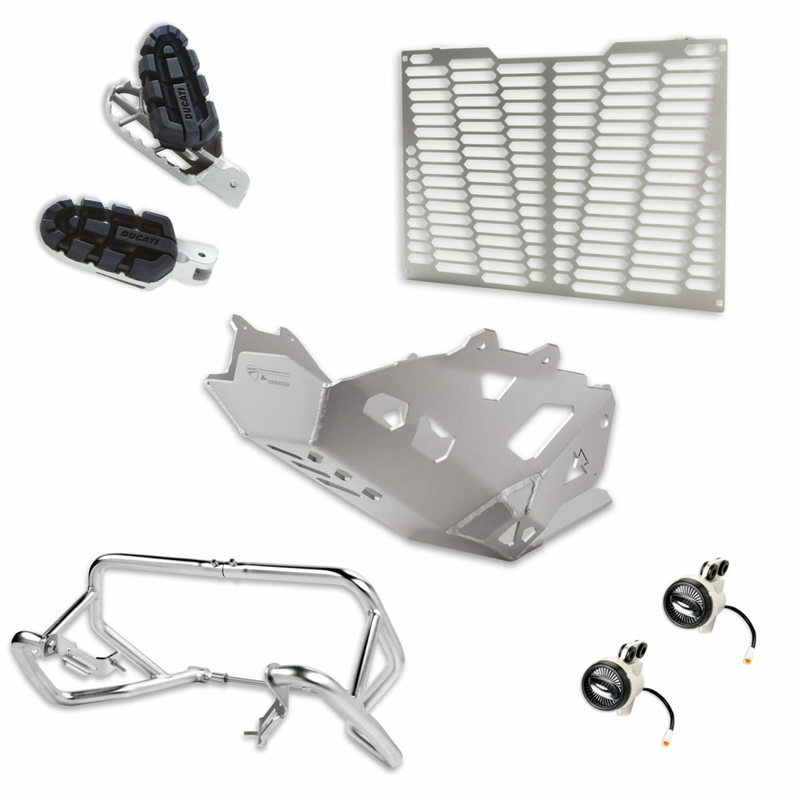 The package includes: protection mesh for water radiator, engine guard plate, engine protection made with steel pipes, steel footpegs, set of LED additional spotlights.